Sheldon's perfect woman not only has to be smart, but she also has to be punctual. After getting his heart broken by Amy yet again, Sheldon decides it's time to find a new girlfriend on The Big Bang Theory Season 9 Episode 8. Meanwhile, Amy goes out on a date with her mystery man again, and Penny and Bernadette decide to spy on them. This is one of the funniest episodes we've had all season. The fact that both Amy and Sheldon are now actively trying to move in (whatever their motives may be) sets a more positive tone for the show. It also allows us to see Sheldon be put in a new situation, which of course, he doesn't handle quite as well as he should. It makes sense that Sheldon's first real foray into the dating world would take place online. 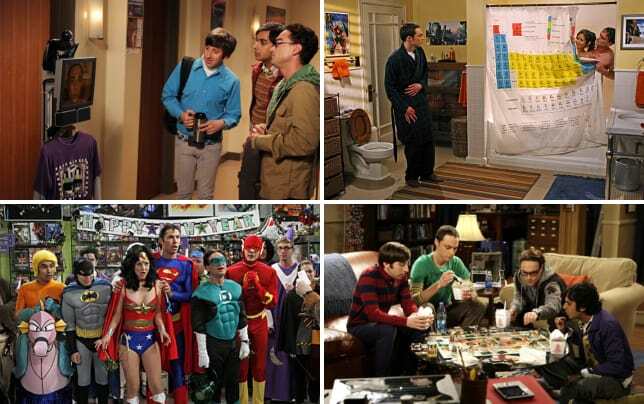 Sheldon's a logical guy, and he has a certain list of criteria that he believes would make up his ideal partner. Granted, those criteria are WAY over the top, but still, that fits his personality, and I wouldn't want to see anything less. At least for now. The online ad, complete with puzzles and a very specific deadline are exactly the way a guy like Sheldon would try to find a girlfriend. Surprisingly, a woman who fits almost all of his criteria shows up. Except for one thing: she's late. I could turn this into a really serious discussion about Sheldon's terrible personal skills and his apparent Autism. In fact, it's hard not to. But I think it's more important to focus on how endearing it is that Sheldon turns away someone who, on paper, might actually be the perfect woman for him (we don't really know this, but boy, she solved those puzzles). Subconsciously, it makes since that Sheldon would search for the one flaw, the lateness, as a way to keep from seeing anyone new. He's still in love with Amy, period. I'm disappointed in the fact that he does turn her away, on some level, though. I think it would be incredibly interesting to see Sheldon date someone new, particularly if that someone could help his character continue to grow. I feel like we learn something new about Bernadette in every episode. Of course she's a great spy! Why wouldn't she be?! Leonard is consistently a loyal friend to Sheldon, and it's such a nice touch that he wants to make him breakfast. But French toast on oatmeal day? Come on, Leonard. You know better than that.